Appliance Recycling at TKO Recycling Center. We are a local California recycling center in the Sacramento area that provide a convenient and environmentally friendly solution for the disposal of old appliances. ALL APPLIANCES MUST BE IN TACT. THEY CANNOT BE DISASSEMBLED. Some have hazardous materials inside them that must be properly disassembled and disposed of per CA State law. Home appliances, especially for the kitchen will often be thrown out to the curb for the garbage collectors to pick up. Since appliances are not biodegradable, they simply sit and take up space. Large home appliances like washers, dryers and stoves can be conveniently recycled. Many appliances that no longer function can still be recycled for scrap metal. Recycling appliances is a procedure that removes any harmful elements from the appliance, and then the body can be re-used. It is very significant to note that products like freezers and refrigerators in addition to certain air conditioners contain CFCs. CFC’s, have been under great concern because they may be harmful to the environment. At TKO, we recycle large appliances or electronics, following the guidelines under the Clean Air Act that stipulates specific processes to ensure that both appliances and consumer electronics are recycled in a safe and efficient manner. If appliances are not recycled properly, there can be severe environmental consequences that may include the introduction of greenhouse gases, heavy metals and toxic chemicals into the environment. Cooling equipment, such as refrigerators, freezers, dehumidifiers and room air conditioners involve refrigerants and insulating foams. Once these appliances are sitting in a landfill, these foams release ozone-depleting substances and greenhouse gases. Older appliances may also contain PCBs or mercury. Newer appliances within the past 10 years contain products that do not contain these toxic materials and use refrigerants and foam blowing agents that are less harmful to the ozone layer, but they still contribute greenhouse gas emissions. Federal law demands the removal and proper disposal of refrigerants however, not foam products. Recycling your used appliances for the home is among the most responsible and legal method to dispose of your unwanted appliances. All states forbid dumping and 22 states presently prohibit appliances at landfills. Penalties for dumping or releasing CFC’s (coolant from refrigerators, freezers, air conditioners, etc.) can be as much as $25,000 and time in jail. Major home appliances, also known as “white goods”, typically have a life expectancy of 10 to 18 years. These home appliances are white enamel covered electrical and mechanical appliances. They are important because they are made primarily of metals. These white goods are divided, processed, and re-cycled for scrap metal. They are separated into two categories: Type 1 – containing NO refrigerant (i.e. electronic. water heaters, clothes washers and dryers, stoves and ranges), and Type 2 – containing refrigerant (i.e. 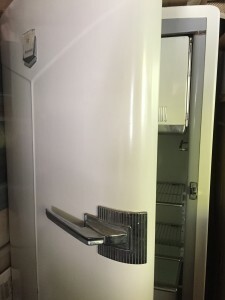 refrigerators, freezers or air conditioners). TKO Recycling understands the importance of being green and is committed to working with, and helping the community, schools and businesses become proactive about recycling, which is extremely economically and environmentally smart. TKO Recycling provides services to Sacramento and surrounding cities. TKO Recycling center offer prices are competitive and are open seven days per week for client convenience. We are one of the area’s largest appliance recycling centers. At TKO Recycling, we provide quick service, getting our customers in and out within 30 minutes. We look forward to serving you.